After losing 3-4 in the last game against Bangladesh, India replied strongly with a 3-0 win over hosts Bhutan. 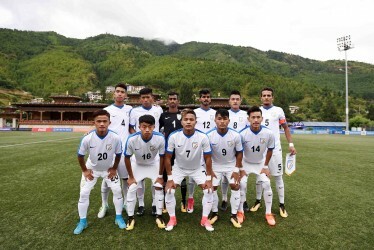 After losing 3-4 against Bangladesh, India were facing a dicey do-or-die in their second encounter against host Bhutan in the SAFF U-18 Championships. Playing with three at the back for the second game in succession, the Blue colts defeated Bhutan handsomely, displaying some clinical finishing and composure in defense. The game started off in an energetic way with India dominating the play from the very first minute. They started in a fluent 3-4-3 formation with 2 ball-playing defenders who dominated and distributed long passes into the attacking third with ease. Deepak and Namgyal were excellent in their assigned duties, with Namgyal initiating attacks at various occasions. The creative lynchpin of the team, Edmund, attempted a volley within 180 seconds from kickoff, which was blocked by a Bhutan defender. India's lone striker Lalawnpuia earned a free kick from a rather long distance, only to be wasted with an off-target shot. India created several chances within the first quarter of the game but most of them were wasted with off-the-target and deflected shots. Bhutan came close to scoring from a long distance at the 17th-minute mark with a miss timed off-target shot. No. 16 Roshan started the game on the left-wing back position of the 4 man midfield and impressed throughout the game. Abhishek, another midfielder, made a long shot at goal which was denied only by the post. 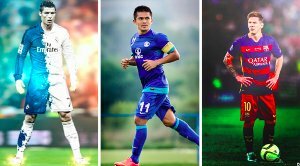 The link between Pranjal and Edmund was outstanding that troubled the left flank of Bhutan. Their play in the 25th minute earned the team a penalty which was wasted above the top bar by none other than Lalawmpuia. After missing the penalty, India ran riot on the wings. The play between Roshan and Princeton troubled the opposition. India won a corner on the left flank, which incepted a series of threats from consecutive corners. In the 38th minute, Lalawmpuia scored on the second attempt of the third continuous corner. In the last 5 minutes of the first half, India made 3 attempts that were blocked, including a solo effort of Edmund who swiftly drifted from the center of the field to the goal. India kept on dominating the match after the interval. They got off the mark after receiving a free-kick near the left corner flag, which was cleared quite easily. Lalawampuia made a couple of attempts within a span of another minute, first from a long distance and then from a cross from Roshan. At the hour mark, Indian winger Edmund was brought down fairly on the edge of the box. Lalawmpuia tried to shoot but was blocked. Indian No. 20 Zonunmawia put in another effort after a heroic box-to-box run and a Ronaldo-esque tug in, only to be saved and put out. Rai Asish came in for Edmund on the 74th-minute mark. 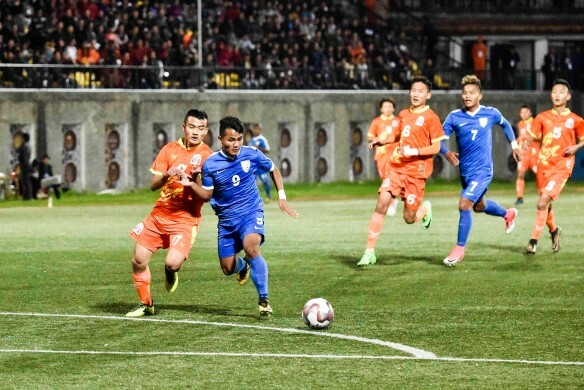 India came in close to double the lead on the 71st and 76th mark with the former attempt being a try to lob it in and the latter was tugged in but was ruled out because of a foul on the Bhutan goalkeeper. They finally doubled the lead on the 79th-minute mark with Lalawmpuia intercepting a pass on the left and made a curling run inside, ending it with a shot into the far post. India sealed the match with the 3rd on the 91st-minute mark. Zonunmawia intercepted the play on the left flank, passed the ball to Lalawmpuia who further assisted the goal to the substitute Asish. 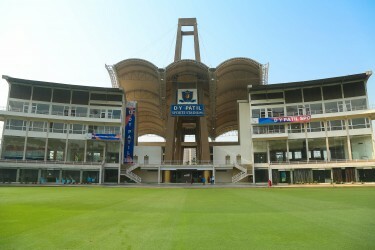 After giving up a three-goal lead against Bangladesh in the last game, the Blue Colts showed immense concentration to keep the SAFF hopes alive. 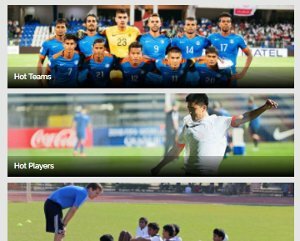 India is set to play its next game on 25th of September against Maldives.